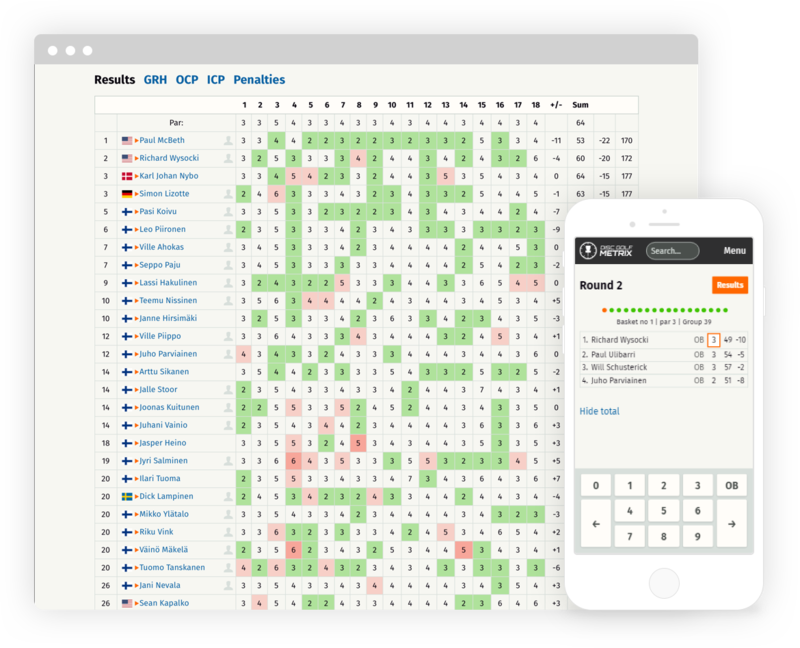 Arrange competitions with live scoring. Manage registrations with multiple classes and queuing. Set up tours and weekly series with different points and handicap systems. Provide good service to players. Keep track of every throw for competitions and practice rounds. Follow your progress based on different statistics. Get your personal Metrix Rating. 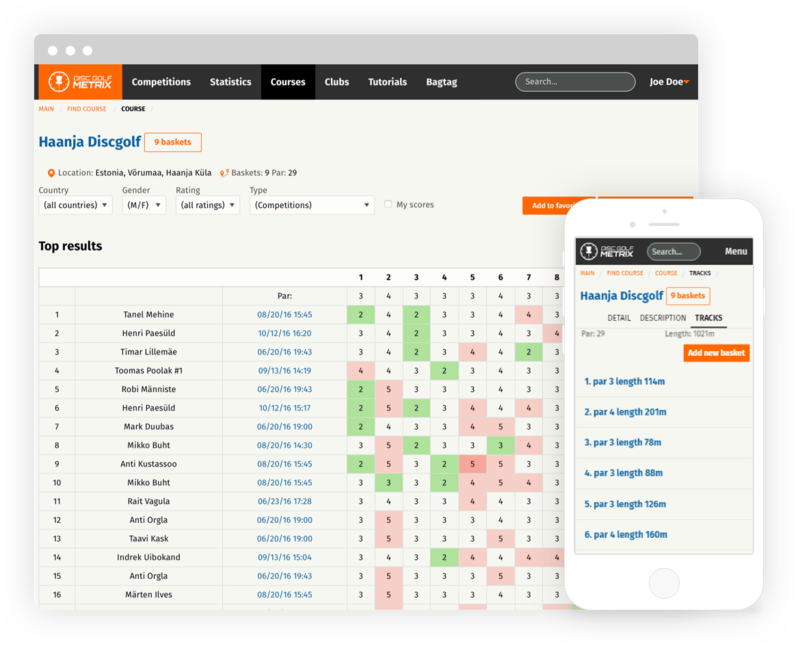 Compare your stats against friends, club members or other disc golf athletes. Thousands of public courses readily available. Find courses based on name and location, GPS also. 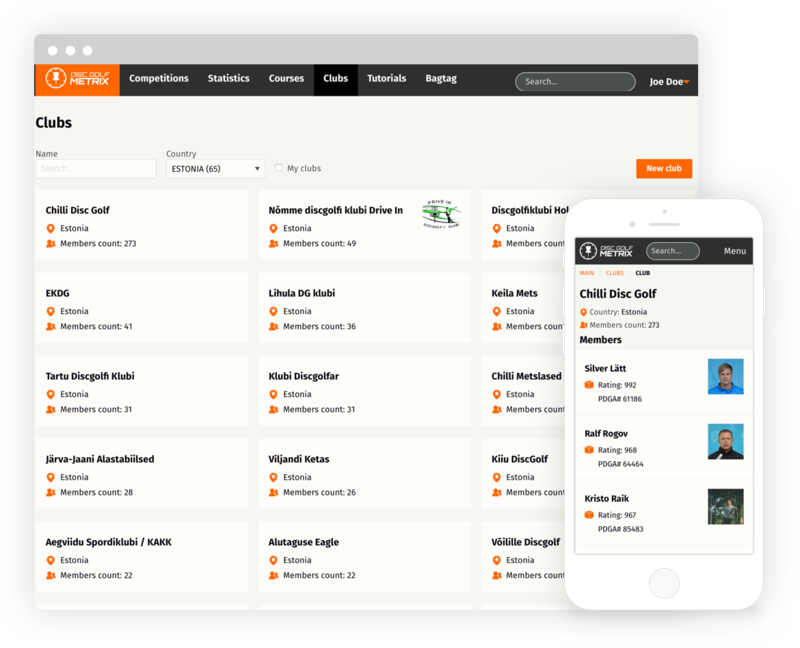 Manage local courses and create different layouts. Course statistics, top results and course based rating system. Private or personal courses also available. Join a local club or create one for your friends. 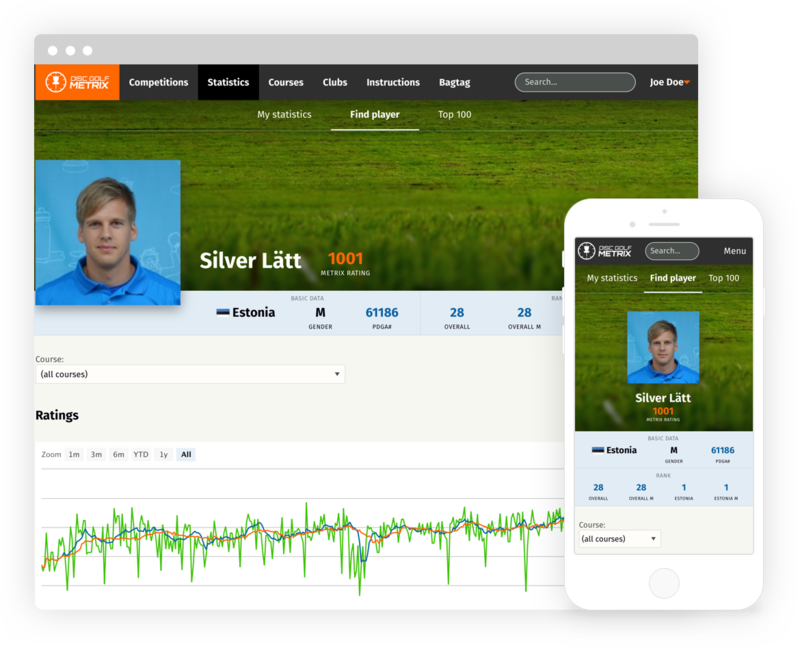 Compare Metrix Ratings between club members. Organize competitions for your club. Start a new Bagtag challenge for your club. Join a bagtag challenge or start your own. Keep track of current standings and tag history. Simple, fast and easy to use. Available for clubs on request.